A show that had many mistakes, but it had a lot of right decisions made by WWE at the same time. The Elimination Chamber pay-per-view was a show that saw WWE make a lot of mistakes at times, which hurt the quality of the event, but this was a show that also had something most WWE pay-per-views don't have, and that is genuine storytelling. Most of the storytelling on display at this show was really well thought out and structured by WWE, as it seems WWE had a plan with most of the programme they were building for the show in advance. Each right decision the creative team made on this night felt warranted and justified in the sense that it brought us one step further on the road to Wrestlemania, and at this point in Wrestlemania season every decision WWE makes must be building to something bigger, and at this event, they did that for the most part. 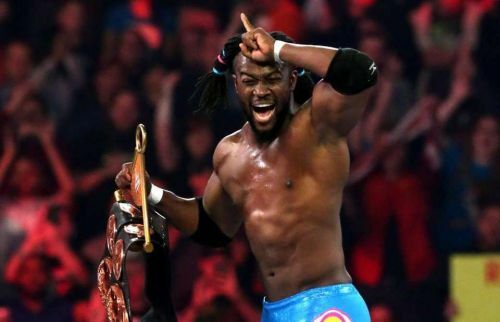 From Kofi Kingston giving the performance of a lifetime to underutilised stars finally getting their due, this show had some bright spots that really elevated its quality beyond the standard WWE show. Finn Balor is a superstar that is always taken on a bumpy ride with WWE's booking, as one minute he is conquering AJ Styles and then next he would lose to Kane in a squash match. That has unfortunately been the story of Finn Balor's career in the WWE. As he is a man that is never really pushed in one continuous motion by WWE, he feels more of a placeholder boosted by WWE to give credibility to the next superstar. But is that notion slowly changing? Well, after a win against Bobby Lashley and Lio Rush at Elimination Chamber, it seems Balor's luck could be changing as he is now the new Intercontinental Champion. It has been a long time coming for WWE to give Balor one more push in the championship scene after he had to vacate his Universal Title after Summerslam 2016 due to injury. How long will this reign last? Well, that is a question WWE needs to ask themselves, as Balor needs to be built up as a formidable force on Raw now and not squashed at the soonest.